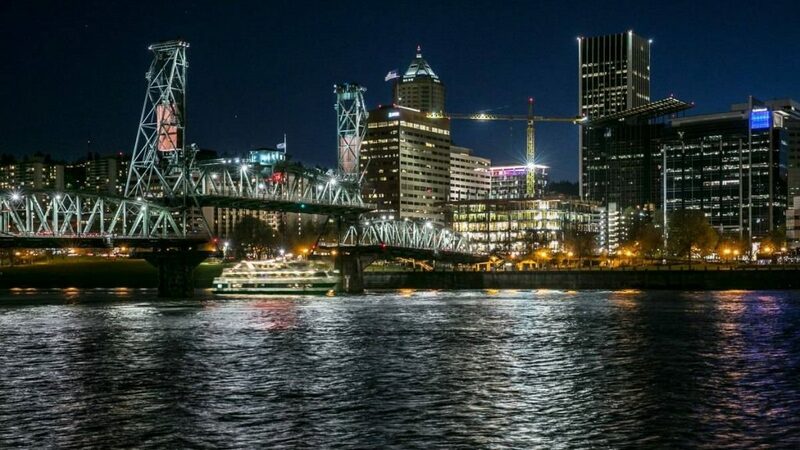 The state of Oregon is one of the most beautiful in the United States and Portland is a great place to live. Unfortunately, they won’t be getting the sports betting experience that such a great part of the country deserves. Oregon was one of a handful of states ‘grandfathered’ in during the dark days of PASPA but never did much with it. They offered a NFL parlay card game through the Oregon Lottery for awhile but dropped it after pressure from the NCAA who threatened to retaliate economically if they didn’t. That was then and this is now. Oregon is getting back in the sports betting business and there are strong signs that it could be up and running before the 2019 NFL football season begins. The Beaver State quickly made it known that sports betting would be back on the menu after the Supreme Court decision overturning PASPA. The bad news? It’ll be a state run monopoly through the Oregon Lottery. To their credit, Oregon has one of the better run and more competent lottery bureaucracies in the country but the entire concept of having the state in the sports betting business is a bad idea. Running a lottery is easy as is running any gambling enterprise with a 50%+ hold percentage. With that massive ‘house edge’ it’s nearly impossible to lose money even with mismanagement and incompetence. Sports betting is a completely different animal with very thin margins. Bookmakers scrap every day for profits and its unclear if state lotteries are up to that task. The Oregon Lottery does deserve credit for their plans to have online sports betting from the outset. They released a new Oregon Lottery app in late 2018 and indicated that sports betting would be added within the next year. What is less clear is everything else. Will sports betting be available at lottery retailers? The ‘Sports Action’ parlay card game was easy to run through lottery retailers but a full sports betting menu is much more complex. The state has indicated that they want to involve retailers. There’s also the state’s tenuous relationship with its nine Native American tribes. There’s every reason to think that they’d like to offer sports betting at their gaming properties. Sports betting came too late for Portland’s only live horse racing venue–it’s being sold to make room for what will likely be industrial development. More good news/bad news–the state wants to add in-game wagering at bars and restaurants down the line. On the other hand, the current talk is that they’re only going to offer betting on professional sports–a rather comical pretense toward ‘academic integrity’ in a state where the biggest public university’s athletic department is essentially a division of Nike. There’s concern about some sort of conflict of interest since the public university’s in the state receive a cut of lottery money but that’s the case in many states. The real reason is that the Oregon Lottery is still pandering to the NCAA. Sports betting in Oregon did get closer to reality this week with the selection of SBTech as the state’s technology provider. No problem with the selection of European gaming company SBTech who also powers the Golden Nugget and Resorts AC sportsbooks in Atlantic City. All the technology in the world won’t be able to turn the disjointed, lottery run sports betting operation in Oregon into a positive experience for the player.